Our darlings of the deep have arrived. The first family of humpback whales were spotted in the Gulfo Dulce, frolicking together in leaping bounds in our private sea. A perfect view from the Osa Peninsula. The humpback whales made a long trip to come here, as far north or south as each pole. The daring journey is sweetly rewarded with the warm, protected waters of Blue Osa’s Gulf. A guest arrived earlier this week with an excitement for witnessing the wild and rich populations of the Osa Peninsula. She traveled here from a far away location, too. She lives in Northern Europe, though by airplane the trip is a bit easier than our sea-bound friends. Her love of nature expanded greater when she read of the upcoming chance to interact with the humpback whales with a tour exploring the Gulfo Dulce. Primed for a focused day of searching, she shared her story with us. It was full of love, joy and a few patient hours. 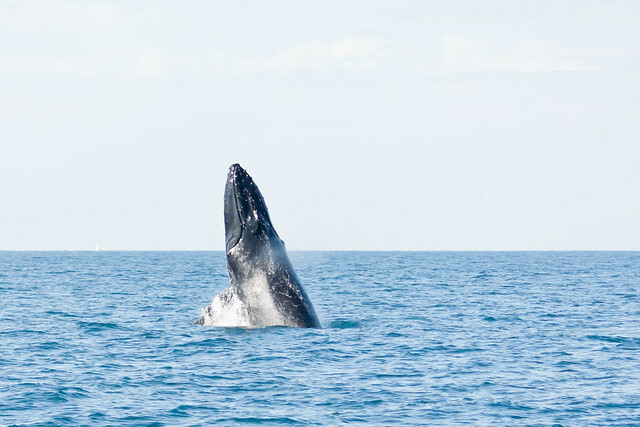 Did you know about the Humpback Whales before arriving at Blue Osa? No, actually. My original interest was in doing a Sea Turtle Release, and enjoying the large population of Dolphins. I’ve seen so many photos while researching the Osa Peninsula, but didn’t read about the Humpbacks. They weren’t on my mind until I got here and heard about the tour. That’s when I realized how special it is here! Tell me more about that special feeling? What was it like to see Humpback whales so close? Before we even left the harbor, a school of Dolphins played near the dock. I didn’t realize how close they would come, or how many lived here! So that was a fun start. After setting out, the dolphins followed in our wake. The captain laughed—he was familiar with the game. But the Humpback Whales weren’t so easy. I quickly remembered that they are endangered, so seeing them is a huge treat. It’s also a rare treat. We patrolled the Gulf for a while, seeing more dolphins, birds and even a sea turtle…though the turtle moved so quickly, I just saw it dive under the water. After an hour or so of searching through different parts, we saw her. A big, playful leap out of the water. The captain caught our attention with a loud “there!” It was magical. Did you see them for a while? Oh yes. It felt like a private show! And I was surprised by how close the whale came to the shore and near our boat. I even saw the size of the eyes—huge! Click here to see some amazing humpback whales footage from Nat Geo! What will you remember most about the tour and the humpback whales? Besides our tour guides wonderful laughter and the gorgeous jade-green water? The most memorable (and surprising) moment came with how playful the humpback whale felt. It had this joyful and playful movement, like a dance. It was a lovely reminder that handwork and sweet rewards go together, just like in my life. 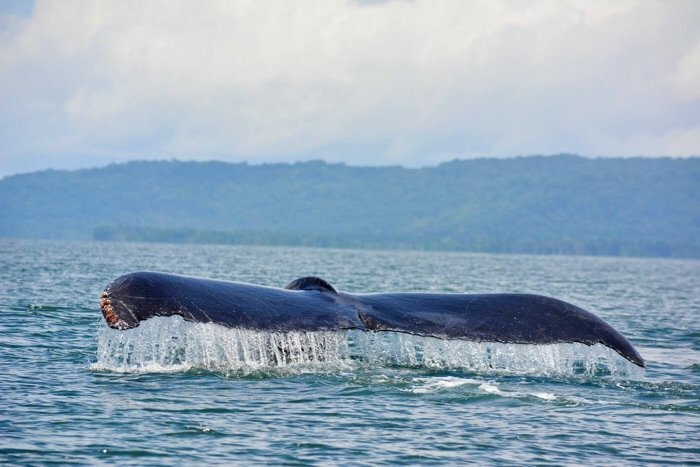 Come visit Blue Osa during the green season and enjoy your private tour of the gulfo dulce, witnessing these beautiful giant humpback whales playing, dancing and exploring the sweet water we call home, too. 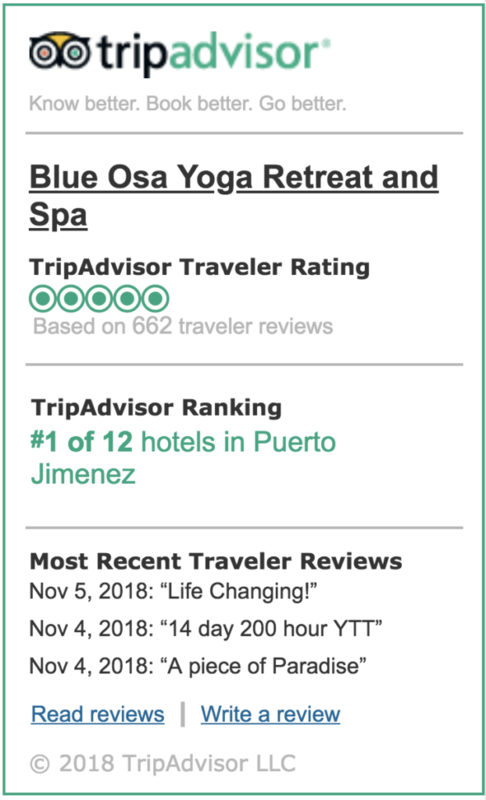 Click here to book your Blue Osa Getaway! 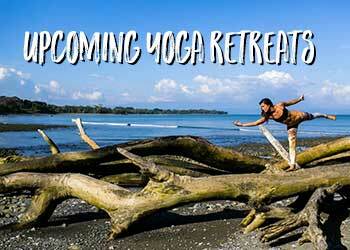 Christopher Grohs is currently volunteering at Blue Osa, a yoga retreat in the Osa Peninsula of Costa Rica. He has a strong desire to roll on the floor like a playful kitten and share in the weirdness of human movement potential, often floating around on his hands. He loves bodywork, swimming with contact dancers and crafting morning routines. In 2014, Christopher rekindled his love of yoga with trainings in the “BowSpring” template of alignment with their tagline: less mechanical, more animal. Meow. He has an on-and-off affair with the East Coast, attending Northeastern University in Boston and spending most of his twenties in Raleigh, North Carolina. 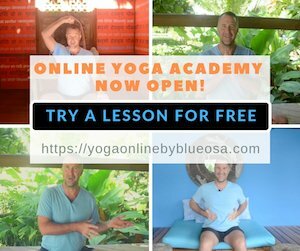 At the end of 2014, he ran away from his home—he free-listed his belongings and ventured into the wandering yogi lifestyle.